In 2006, I resigned my faculty position at the medical school where I had worked for twelve years. I felt strongly that there had to be a better way, a feeling that I had so often when my daughter, Alexandra, was alive and regularly accessing medical care. At the time of my resignation, I had a profound spiritual experience that sent me into a completely new direction. I began to study alternative medicine. 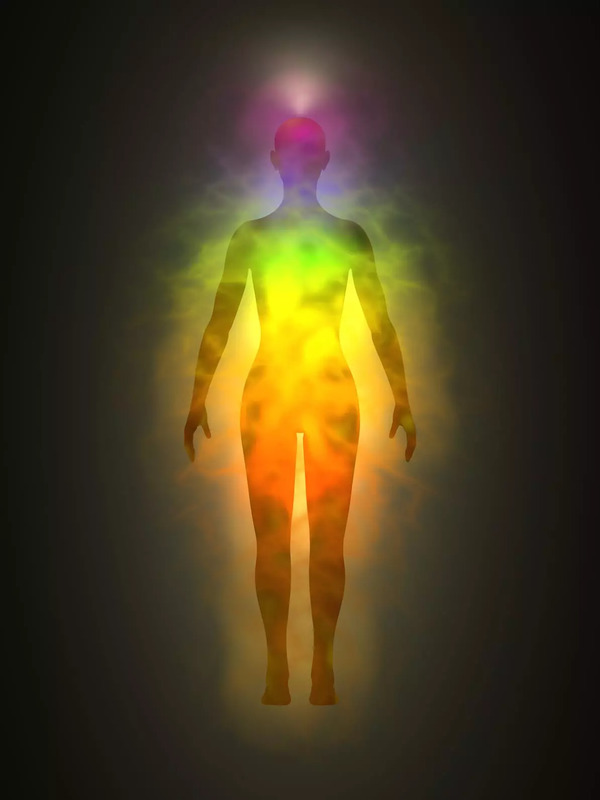 In my studies, the information about the existence and composition of our biofield, also called Human Energy Field (HEF) or Aura, was mind-awakening. It helped me understand the healing effects of many of the alternative medicine approaches. These modalities include for example: meditation, yoga, therapeutic massage, shamanic energy medicine, breathwork, Reiki, Quantum Touch, sound healing and toning. Our biofield, imagine a donut-shaped bubble surrounding the outside of your entire physical body, extends out at a distance of about five feet to the sides and twothree feet at the top and bottom. Now imagine this bubble wrapped with a fine web-like mesh. The team of scientists at the National Institute of Health who coined the term biofield in 1994, found that this energyfield is composed of both measurable electromagnetic energy and subtle energy. Their measurements have shown us that the biofield has a fluid-like motion, like air or water currents. This magnetic fluid surrounds not only human beings, but all living things. A fascinating, yet to be scientifically proven, fact is that our life experiences are stored within this field. My experience as a shamanic energy medicine practitioner tells me that this is true. Scientists believe our past experiences are encoded in standing waves as binary patterns. Emotions are also encoded and are thought to have different vibrational frequencies. Thus, the sensing by a trained practitioner that their client is holding on to guilt,shame,or anger is real. They may be even able to “see” the life experience from which the strong emotion came. The practitioner’s role is to facilitate shifts on the biofield such that the heavy energy or dissonance caused by the upsetting experience(s) is removed. This can be, for example, with their own hands, sound vibrations (voice or with a rattle), drum or tuning forks. Once the heavy energy is lifted, the person feels rejuvenated and has more energy for daily living. My personal favorite is toning; for ten minutes I use my own voice to create a sound vibration that leaves me feeling energetic and balanced. Yoga is wonderful as well because many of the poses release trapped energy in the body or the field. That’s why with a given body position, one may suddenly feel like crying. Shamanic energy medicine, Reiki, and Quantum Touch use the practice of bringing positive energy into the biofield. All these processes positively affect the physical body at a cellular level, creating better health.